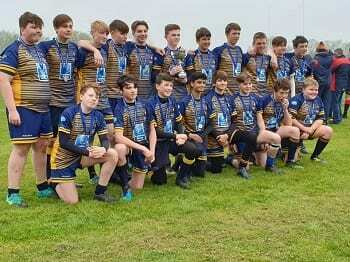 Thanet Wanderers U14s made their way to a misty and murky Ashford RFC on Sunday morning to defend the Kent Bowl Trophy they won in glorious sunshine at the end of last season. A much-changed squad, with some boys playing in their first final, arrived at the venue hoping the weather would brighten up. The coaches hoped the boys would show the same flair and determination they demonstrated in their tough semi-final against Old Beccehamians. 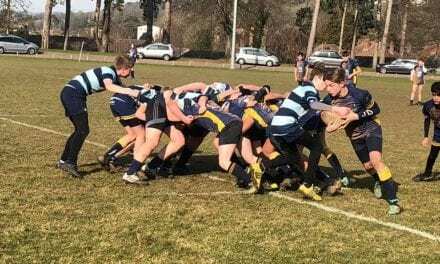 The format of the Kent competitions meant that the U14s, U15s and U16s Cup, Plate and Bowl finals were all being played on the same morning, which ensured a busy schedule of games and a good crowd to watch the boys play rugby. 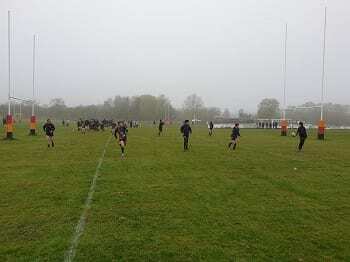 It also meant that TWRUFC were playing in a 3-way final with local rivals Deal RFC and Medway RFC. The first game was a very tight affair between Medway and Deal with Medway scraping through scoring a converted try in the last minute for a 7-0 win. 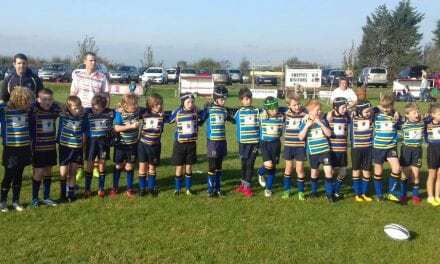 After a short break it was TWRUFC’s time to take on the bigger Medway side. The Thanet coaches, wanted the boys to concentrate on quick line speed in defence to put pressure on the big three quarters in the opposition’s line up and this paid dividends. Captain James P and Patrick S put in some big hits in the centre against their opposite numbers. The forwards competed well at the break down regularly shoving the bigger opposition pack off the ball. The Thanet back row of Oz , Flynn and Beau won lots of ball at the rucks giving scrum half Owen some good clean quick ball. Fly half Harrison Q mixed up the game with some good ball distribution and some clever kicking which allowed good kick chase opportunities for the Thanet backs. 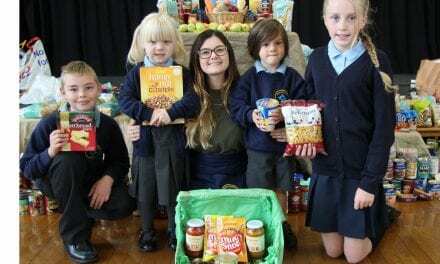 The Thanet pack gained ascendency over the Medway pack with some great pick and go runs particularly from Beau, Sam M and Charlie. The deadlock was broken after a quick tap penalty taken by Owen which allowed Charlie W to crash through several Medway tackles before he was driven over the line by supporting players for the opening score under the posts. 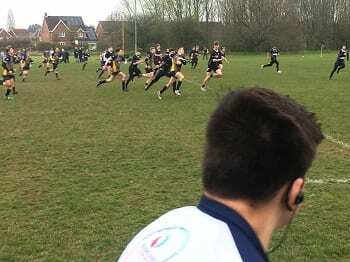 Harrison converted well to give Thanet a 7 – 0 lead at half time. The second half was a tight affair with both sides playing good rugby. Thanet attacked regularly but an unfortunate number of final passes being adjudged forward or knocked on, prevented any further scoring opportunities. Thanet countered well from the Medway fly half’s booming kicks with fullback Farzaam and wing Josh P making several darting runs, but they were unable to finish off with a try to extend the lead. In defence Thanet played well keeping Medway at bay with some dominate tackling particularly by Beau, Sam M and Flynn. 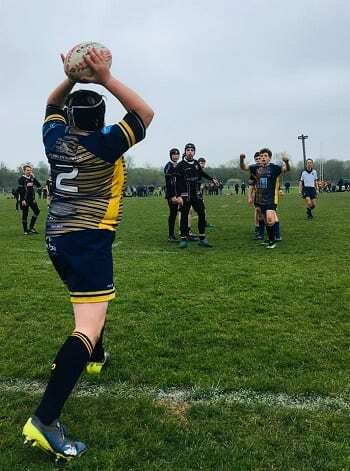 Thanet managed to hold on to their lead and win the first game 7 – 0 to the great relief of both the coaches and parents and all the boys were keen to get going again against Deal, a team who they knew would be another stern test. After a short break and a couple of personnel changes for some lads with weary legs as a result of the first game, the second match began with Deal kicking off. The ball was well taken by Flynn who ran it back with Oz and Beau in support. The Deal defence was strong, however, after some good recycling by Thanet the ball was made available for Harrison to free the back line which resulted in some strong running by James P and Patrick allowing Farzaam an opportunity to try and get around the Deal winger. Unfortunately he was brought down just outside the Deal 22 metre line. The game was then nip and tuck for the rest of the first session with both sides defending and attacking well, but the half finished 0-0 with no score to either side. At half time Josh P returned to the fray to bring some fresh legs to the Thanet back line. Harrison kicked off and a good ball chase meant Deal were kept back in their own half allowing scrum half Owen to continue to test his opposite number with some sniping runs from the rucks and mauls. Growing pressure from Thanet led to a number of penalties against Deal and Harrison kicked well from the resulting penalties gaining good ground. One of these penalties gave Harrison a chance for a kick at goal from outside the 22metre line which unfortunately went wide. Thanet maintained the pressure from the resulting 22 metre drop-out kick, with Charlie and Beau making some crashing runs. A score was surely coming! A ruck close to the Deal try line was hotly contested and the resulting kick went only as far as Patrick S who broke the first attempted tackle by a Deal player before off loading to Josh P who evaded several defenders to score under the posts for Harrison to convert. He won’t score a more important try!! Deal attacked hard trying to find the equalising score and Thanet defended valiantly despite injuries to Flynn S and Sam B which meant more changes were necessary to the team for the final minutes of the game. Coaches, parents and players were eagerly wishing the clock down. Deal then knocked on from another hard Thanet tackle and the referee indicated that the Thanet scrum would be the last play of the match. The forwards did their job well providing a steady platform for No 8 and unanimous Player of The Week Beau, to fittingly pick up and hoof the ball into touch. A win for Thanet 7-0! Players, parents and coaches were all relieved to have won both hard fought and equally contested games. The presentation came next and Captain James P lifted the cup in the air to resounding applause from the supporting parents. The Thanet coaches received great praise for the way the boys played from both opposition coaches which is great praise and in the true spirit of the game. 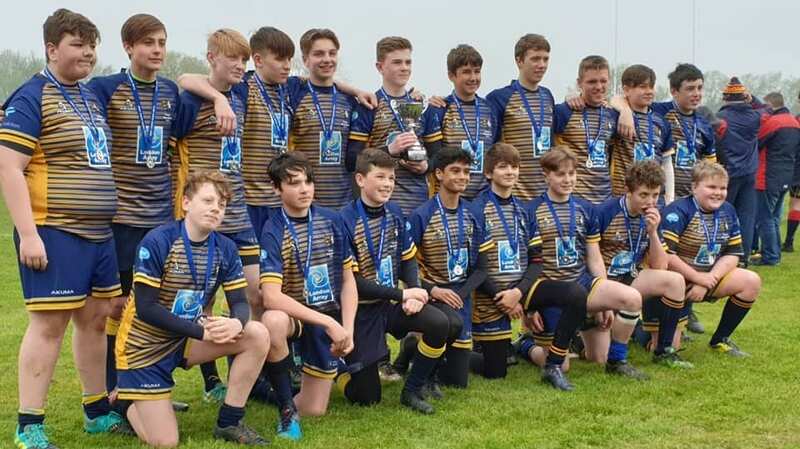 Thanet now look forward to hosting SE London touring team Beckenham RFC at St Peter’s on Saturday 13th April before preparations can start for the Kent 7s at the end of the month. Team: – Charlie W, Sam B, Tom K, Josh J, Sam M, Flynn S, Oz W, Beau T, Owen J, Harrison Q, James P (Capt.) Patrick S, Luke D, Josh P and Farzaam Y – Finishers Rhys T, Josh L, Zach W & Ben B.